Get rid of your old bathtub and replace it with the elegant Mirage Freestanding Bath. 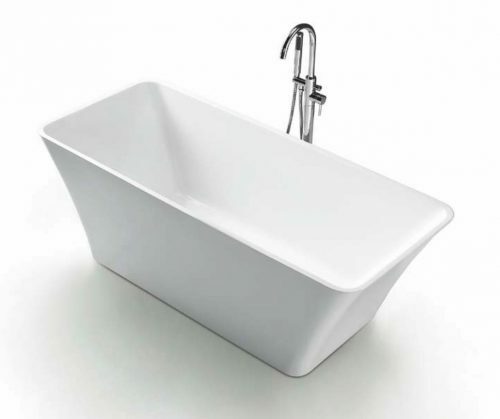 This freestanding bathtub is sure to become the focal point of any bathroom. Furthermore, because it is freestanding, you have the flexibility to place it in any location you desire. The Mirage Freestanding Bath is synonymous with luxury. The minimalist style, seamless design and classic white finish will complement the decors of any bathroom. 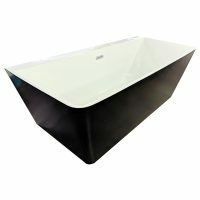 Moreover, the durable double skin high-quality Lucite sheets means that this bath is highly stable and will offer years of superior comfort. It is also equipped with an offset waste to offer the ultimate bathing experience. 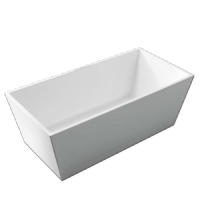 The Mirage Freestanding Bath is available in two size options, 1500x750x600mm and 1700x750x600mm. Rest assure, this bath certainly stands tall above the rest of the competition. 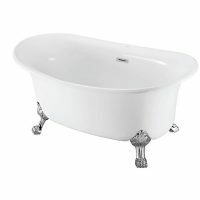 This elegant freestanding bath is available at an unbelievable price at Ross’s Home Discount Centre in Guildford, Perth. Take advantage of our money back guarantee and free shipping to Perth metro areas and purchasing this bath today before stocks run out!